It’s not that 23-year-old Mike Yastrzemski (Cotuit, 2010-11) doesn’t love and respect his Hall of Fame grandfather Carl. He just prefers to be recognized for his own baseball accomplishments as an outfielder in the Baltimore Orioles’ organization. 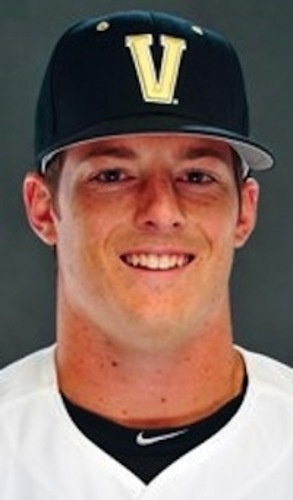 The O’s 14th-round draft pick in 2013 out of Vanderbilt University has emerged from Yaz’s shadow and become a legitimate prospect after turning in solid performances at three levels of “A” ball. On Wednesday, he was rewarded for his efforts with a promotion to Double-A Bowie. After starting his pro career last summer by hitting .273/.362/.420 in 57 games for short-season Aberdeen, Yastrzemski opened 2014 at Low-A Delmarva, where he batted .306/.365/.554 in 63 games. He didn’t miss a beat when he moved to High-A Frederick, where his 23-game line reads .312/.364/.462. On July 5, Yastrzemski matched a feat accomplished nearly a half-century ago by his grandfather, hitting for the cycle in Frederick’s 17-3 thrashing of Lynchburg. He completed his cycle with a ninth-inning triple that nearly cleared the right-field fence. Yasstrzemski finished with a career-high five hits in six visits to the batter’s box. The triple in his final at-bat was preceded by a single in the first inning, a double in the second, a ground ball out in the fourth, a two-run homer in the fifth and a double in the seventh. The home run, a two-out blast to left-center, was Yastrzemski’s first for Frederick after he hit 10 during his 63-game stay in Delmarva. Yastrzemski twice chose Vanderbilt over opportunities to play professional baseball – in 2009 when the Red Sox drafted him in the 36th round after his senior year at St. John’s Prep in Danvers, and in 2012 when the Seattle Mariners chose him in the 30th round as a college junior. Boston’s and Seattle’s loss certainly is Baltimore’s gain. The Orioles’ player development staff is very pleased with what it has seen of the 5-foot-11, 180-pound outfielder, who has demonstrated speed, arm strength and some pop in his bat. Yastrzemski is believed to be the only player in all of professional baseball this season to have reached double digits in home runs (11), triples (12), doubles (21), stolen bases (17 in 21 tries) and outfield assists (21). In two seasons at Cotuit, young Yaz’s production could generously be described as average. He hit .235/.331/.324 with 12 doubles, a triple, two home runs and 17 RBIs for the 2010 Kettleers and followed in 2011 with a line of .253/.321.347, four doubles, one homer and 12 RBIs. He stole 18 bases in 24 attempts over two seasons. Over four seasons at Vanderbilt that encompassed 253 games, Yastrzemski compiled a .292/.393/.416 line with career totals of 45 doubles, seven triples, 15 home runs and 144 RBIs.